I met my book in a shop! On Friday I went to Seven Stories in Newcastle and found two copies on the shelves of their impressive children’s book shop. The staff were very friendly and obviously champion new authors. Pics here. 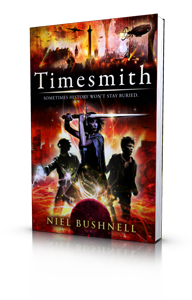 A new blog review from a Junior School Librarian in New Zealand! The world is very small these days. Then there was the Waterstones launch event on Tuesday night, which I will blog about properly soon. An amazing night! The lovely people at New Writing North have got together with Andersen Press and Waterstones Newcastle to organise a terffic launch event on Tuesday 29th January! Not only will Sorrowline get the star treatment, we’ll also be toasting the launch of fellow Northern Writers Award winner Celia Bryce’s teen novel Anthem for Jackson Dawes (Bloomsbury, 2013), a tale of bittersweet first love. We’ll be reading from our books and taking questions from the audience. It’s a free event, no booking required, and it’d be fantastic to see as many of you there as possible. It’s happening at 6.30pm on the 29th at Waterstones, Newcastle, Emerson Chambers Blackett St Newcastle NE1 7JF. Speaking of New Writing North, if you want to enter this year’s Northern Writers Awards you only have a few DAYS to get your entry in. Don’t miss out!! Is it that time again?? So what’s been the best bits about this week? Getting some lovely target-reader reviews from the Discovery Club reading group at Waterstones, Southampton. “I loved it from the first page.” – Zoe 11. Check out the Waterstones Bookseller reviews tab for more. And more reviews on the Love Reading 4 Kids website, also from target-age readers. Planning for the book launch next Tuesday in Newcastle. The Swapit page is still running the Sorrowline competition, and it’s had almost 200 entries so far! Next week is a biggy. I hope some of you can make it along to the launch on Tuesday night! Week 2, and its been a busy one! Here are my highlights! Being named Book of the Week by Peter’s Books. Being on a Top Ten list! 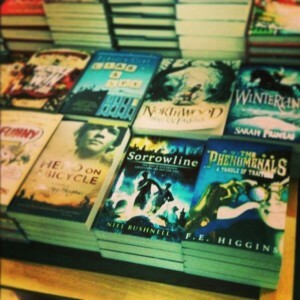 Speaking of Swapit you can win a signed copy of Sorrowline as well as pick up 2500 Swapits! Details here! Confirming my first school visit! This is a big one for me – I’m really looking forward to it, and I hope to do more soon. Now my countdown to publication has ended I thought I might try a countUP! Here are the highlights of my first week as a published author! Publication, obviously! Need I say more? Hearing that friends and family are reading Sorrowline. It’s been great to get this early feedback from such enthusiastic supporters. Getting my first review! Luckily it was glowing! Making a trailer with my buddy, Chris Chatterton. This was great fun. We spent a chilly Saturday morning roaming around graveyards, trying not to look too suspicious. You can see the results below. After waiting 15 months the da y finally came! PUBLICATION DAY!! 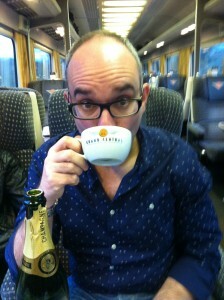 With getting copies from Amazon early it was something of a vague date to celebrate, but it was still the official Publication Day and deserved marking in some way.We’d planned a family day in York, so by 9.30am we were settled in First Class on the Grand Central train drinking champagne out of a teacup! By time we arrived at York we were in a suitably pliable mood for some serious shopping. While the family busied themselves with clothes shops I drifted towards Waterstones. I had hopes of seeing Sorrowline on the shelves, but it was not to be. 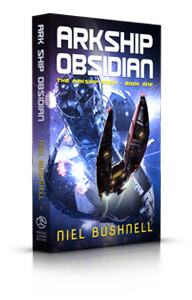 I’ve heard that it’s in bookshops, but I’ve yet to see it there myself. I consoled myself with a great book about Start Trek, The Next Generation – a show I have great affection for! 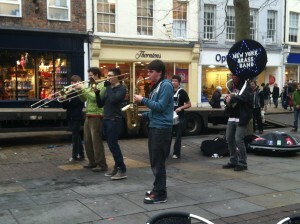 Later we stumbled upon a fantastic busking bank called the New York Brass Band. I stood and listened to them crack through a brilliant version of A-Ha’s Take on Me. But there was much to see and do – we couldn’t hang around all day! 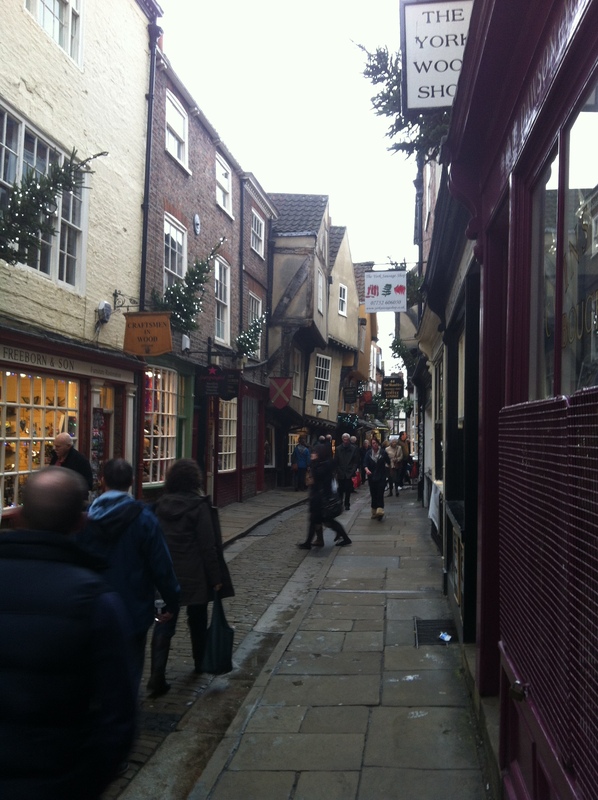 York is a beautiful city, full of quirky eccentricities. The architecture is brilliantly British! We even managed a trip on the York Eye – a surprisingly nerve-wracking ride over the city! 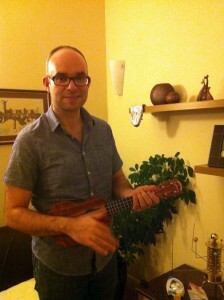 Finally the day ended with me buying a ukulele – something I’ve wanted for a while! (If you can’t go a bit silly on Publication Day when can you??) We headed home, tired and happy. My first Publication Day was over – hopefully the first of many. Tomorrow my first book, Sorrowline, is published. This is something I’ve dreamed about since I was a small boy, a day I sometimes thought might never come. It’s been a long wait, but it’s finally here. It’s a strange feeling, a mix of uncertainty and excitement, wondering what people will make of my book. I know some pre-ordered copies have already gone out from Amazon, and they’re on sale in Foyles, London, so there are people already reading my work. I’ve heard positive noises from friends and family, but the acid test is going to be the strangers who pick up my book. Will they like it? I sincerely hope so. One way to find out is to go out and meet those strangers. Thanks to New Writing North I’m doing a launch event! The event is at Waterstones, Newcastle on Tuesday 29 January at 6.30pm and is a joint launch for Sorrowline and Celia Bryce’s teen novel Anthem for Jackson Dawes (Bloomsbury, 2013) which deals with bittersweet first love. Both of us are North East authors who have won Northern Writers’ Awards from New Writing North. We’ll be reading from our books and taking questions from the audience. It’s a free event, no booking required, and it’d be great to see you there! As for tomorrow, I’m spending it with the family. We’ve planned a day out to celebrate, and I’m hoping to spot Sorrowline in the wild for the first time!